In a small bowl, whisk together honey, garlic, olive oil, white wine vinegar, thyme, salt and pepper, to taste. Place salmon onto prepared baking sheet and fold up all 4 sides of the foil. Spoon the honey mixture over the salmon. 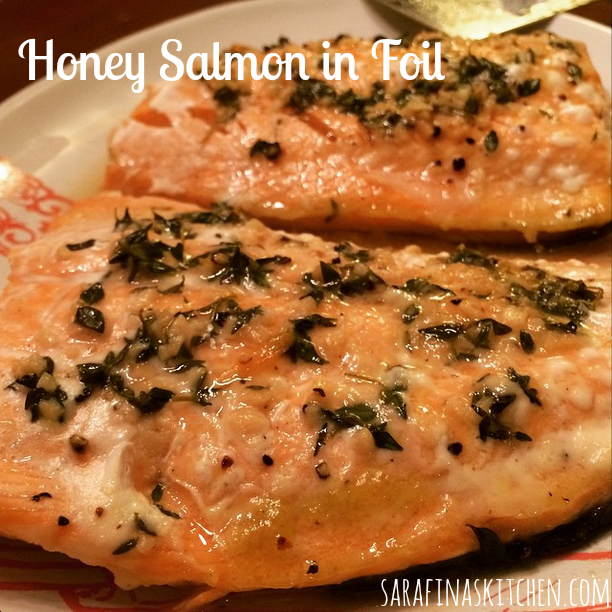 Fold the sides of the foil over the salmon, covering completely and sealing the packet closed. *Baking time may need to be adjusted depending on the thickness of the salmon.